Skye Gravestones | Margaret (Morrison) & Neil Campbell. Margaret (Morrison) & Neil Campbell. 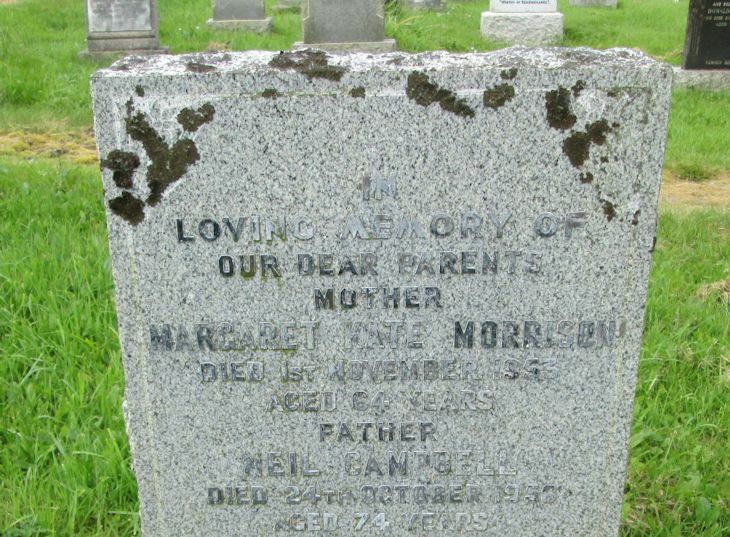 In/loving memory of/our dear parents/mother/MARGARET KATE MORRISON/died 1st November 1953/aged 64 years/father/NEIL CAMPBELL/died 24th October 1956/aged 74 years/["recent"].